Everyone deserves to eat healthy food that’s delicious too! And anyone can learn to cook a healthy meal that’s both filling and healing. 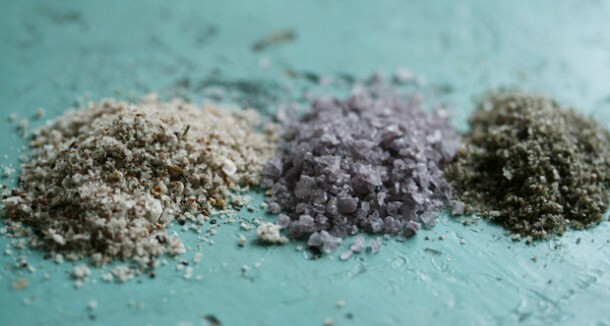 Learning of few of the basics — from using salt to seasonings and herbs can add interest, flavor and fun to all your standby healthy ingredients. Soon, you’re be well on your way to getting creative and “eating outside the box” with gourmet salts, fantastic flavors, spices, and fresh herbs that brighten and add zing to everyday meals. Don’t be afraid of salt when you’re cooking. Fast food and packaged foods have more than five times the amount most home cooks typically use when preparing a meal. If you’re concerned, measure your salt out — 1/4 teaspoon or less per person per meal, unless you are on a sodium-restricted diet. One teaspoon of salt is roughly 2400 mg, the general limit for recommended salt intake in one day if you have a clean bill of health. If you’re looking for more adventure, search out exotic salts with gourmet flavorings — anything from coffee to rose and olive, bacon, vanilla, and so many more. Keep experimenting but remember that adding a pinch of salt to your meal works like a magnifying glass — amplifying the natural flavors. When cooking meats, poultry, fish and other proteins, always salt them before searing – while with veggies, salt them while they are cooking in the pan with a healthy cooking fat. With soups, stews and sauces, salt towards the end of cooking as the liquid reduces and the dish can become overly salty. With salads and other veggie preparations like gazpacho and salsas, salt before you toss or mix. Love seasonings and spices, but not sure which ones to buy? Start simple with these few that you can use to flavor fish, chicken, breaded items, salads, and veggie side dishes. Granulated garlic is great to add a hint of tasty flavor without adding salt. Top it off with a squeeze of fresh lemon juice and toss in fresh basil or cilantro. Mild chili powder paired with garlic adds a hint of sweetness and smoke, perfect for chicken skewers, grilled veggies, and kale salad. Confused on how to pair your herbs with food? There is no fast and hard rule, but certain herbs are tastier when paired with food that compliment their flavor. Here are lip-smacking flavor combos matched with protein and veggies that will make you look like a star in your kitchen. Basil is prized in Italian cooking for its affinity with tomatoes and mozzarella. But it can also be used with fruits in place of mint, as a garnish in your cocktail or even to add flavor to sandwiches. 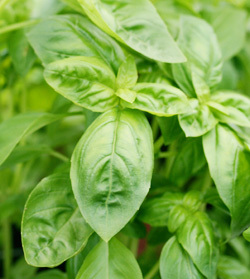 Beside its amazing aroma and flavor, basil is packed with Vitamin K, crucial for blood clotting. Basil also has anti-inflammatory compounds that help to calm blood pressure and relax the nervous system. Fresh or Dried Bay Leaf, which comes from the laurel shrub, can be found in most gourmet grocery stores. Use bay leaf to add earthy flavor to soups, stews, and homemade chicken broth — but remember to discard it before serving. Bay leaves work best in long cooking preparations and not used as a fresh garnish because of its tough texture. 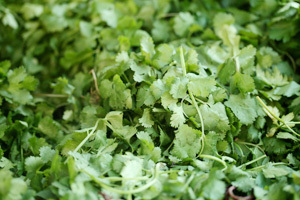 Chervil is an herb that is often used in French cooking, but is difficult to find in US markets. Its tiny lacy leaves make it look like a miniature version of parsley or cilantro — however, it has a much more delicate flavor and is almost always used raw. Use it as a garnish on delicate seafood (like scallops, white fish or shrimp). Sprinkle over risotto and noodle dishes. Chives (from the onion family) have a mild oniony taste and add character to cream cheese, seafood dishes, soups, and sauces. Snip them with a scissor to add fresh flavor wherever you like — like basil, they are an all-purpose herb. You can even use its lavender-colored flowers as a pretty garnish. Cilantro, also known as “fresh coriander”, isn’t an herb for beginners since it can come across are too perfumy or soapy to those who have never tried it. It’s a staple in Mexican and Asian cuisines and is lovely paired with coconut, lime, hot chilies, fresh ginger, seafood, and a large list of ground spices. It’s also tasty paired with noodle dishes like pad thai and peanut based satay. Dill, sometimes called “dill weed”, is a staple in Eastern European dishes including salads, soups, and pickles. Sour cream and dill make a cool pair, but dill can also be used for curing your own salmon. Carrots are delectable paired along with a good quality dairy product, like a pat of grassfed butter or a few tablespoons of local honey. Lavender, part of the mint family, is a popular herb used in the perfume industry. It also makes a delicious, aromatic addition to sweet dishes like creme brulee and savory fare like roast chicken and pork roast. 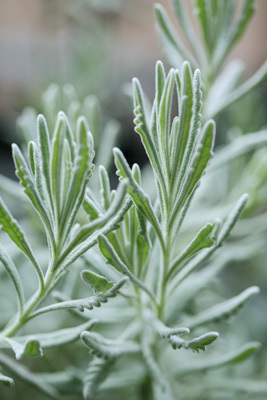 Like rosemary, it pairs well with Mediterranean fare including olives, citrus, and almonds. 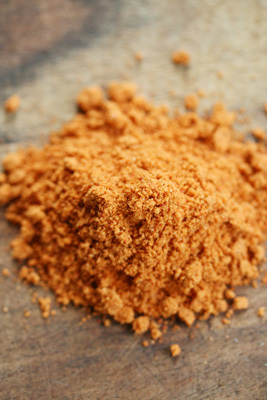 It also makes a lovely addition to plain breadcrumbs that need zing. Add 1/2 teaspoon chopped fresh lavender and thyme to plain breadcrumbs along with a few tablespoons of grated Parmesan for a flavor boost. Mint has a refreshing taste that almost everyone likes. It goes well with savories and sweets alike – fruit, frozen yogurt, chocolate pudding, lamb, peas, cucumbers and tea – just to name a few. Mint can also be mixed with basil, fresh spinach and kale to make a healthy pesto. Rosemary is a highly versatile herb that can be used with almost any dish — from chicken and fish, to pork, lamb, and beef as well as vegetables. Rosemary has a stronger flavor and pairs well with Mediterranean flavors like olives, olive oil, Parmesan, goat and sheep cheese, citrus, and nuts. 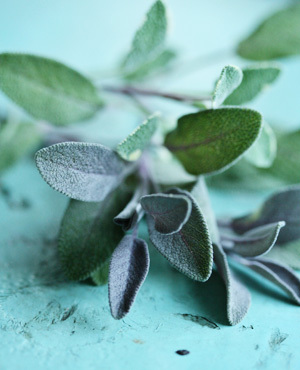 Sage has a powerful, hearty aroma that makes it perfect for grilling, marinating and fall and winter fare. Sage isn’t really tasty raw, but its flavor mellows when cooked (like in this tasty zucchini and sage recipe). 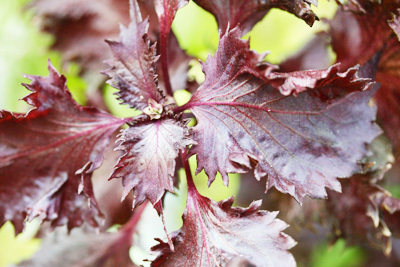 Shiso is an Asian herb that comes in deep red and green — with a mild licorice mint flavor. It pairs perfectly with other Asian flavorings like sesame, fresh ginger, miso paste, soy sauce and condiments like pickled cucumber, kimchee, and spicy mayo used for spicy tuna. Tarragon has hints of black licorice and is another herb that is often used in traditional French cooking. Perfect in eggs, with crepes, beef, and even in chicken salad, tarragon is also wonderful soaked in vinegar to make a special salad dressing. Thyme perks up stews, soups, braised meats, and is a great match with plain white rice. Try adding some chopped thyme next time you saute your favorite mushrooms or add it to your breading mixture next time you are coating chicken or pork. A few fresh thyme leaves on top of cherry, blueberry, or grape sorbet make for a chef’s twist that is beautiful to look at and interesting to eat. Storing Herbs: Most fresh herbs will last one week and with some herbs even one month if they are well stored. Wrap them in a paper towel and store refrigerated in a zipper lock bag. Substituting Dried for Fresh: There is no exact formula, but the general rule of thumb is to use half the amount of dried herbs for recipes that call for fresh amounts. Keep in mind, though, that fresh herbs are more nutritious and in most cases far tastier. You can also easily grow them outdoors Spring through early Fall or sprout herb pots on your window ledge. Washing Herbs: Only wash your herbs when you are ready to use them. This will extend their fridge life. Rinse the herbs under cold water and pat dry before using. Or for a do-ahead dinner party garnish, wash them 30 minutes before, wrap in paper towel and store in the fridge until you’re ready to garnish your meal. To Freeze or Not to Freeze: Despite what you may think, you can freeze many fresh herbs. Herbs with high water content (such as basil, tarragon, mint and chives) all keep well in the freezer for several months. They won’t retain their shape and color — but they will retain their flavor. However, you can find fresh herbs (especially parsley, cilantro, thyme, chives and mint, all year round in your local grocery store.